Here’s a plan for action for everyone who cares about the future of America. 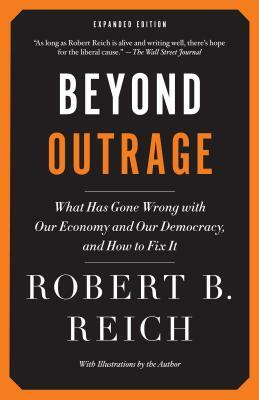 Robert B. Reich is Chancellor’s Professor of Public Policy at the Richard and Rhoda Goldman School of Public Policy at the University of California, Berkeley. He has served in three national administrations, most recently as secretary of labor under President Bill Clinton, and he served as an adviser to President-elect Barack Obama. He has written twelve books, including The Work of Nations (which has been translated into twenty-two languages), Supercapitalism, and the best sellers The Next American Frontier, The Future of Success, Locked in the Cabinet, and, most recently, Aftershock: The Next Economy and America’s Future. His articles have appeared in The New Yorker, The Atlantic, The New York Times, the Financial Times, The Washington Post, and The Wall Street Journal. He is co-founding editor of The American Prospect magazine and chairman of Common Cause. His bi-weekly commentaries on public radio’s Marketplace are heard by nearly five million people. In 2003, Reich was awarded the prestigious Václav Havel Foundation Prize for pioneering work in economic and social thought. In 2008, Time magazine named him one of the ten most successful cabinet secretaries of the twentieth century, and The Wall Street Journal named him one of the nation’s ten most influential business thought-leaders.